This morning I was up by 6:30. Insomnia got the better of me, so I watched Animal House and Ghost Busters. Not my most productive morning, but at least my belly got a workout from all the laughter. Meanwhile in Willow, Alaska, Jan Steves was packing up all of her gear for a 1000 mile trek through sub-freezing weather across the Tundra, preparing her team of 12 dogs (whom she has been training and taking loving care of for quite awhile), and double–no, triple–checking that everything is the way it should be for the Official Start of this big dog mushing adventure. I know this because this is what it was like for her when I watched her take off on her first Iditarod competition in 2012. While most of her family and friends will be cheering her on from warmer climates, her daughter Nicolina is in Willow to be her mom’s biggest fan. 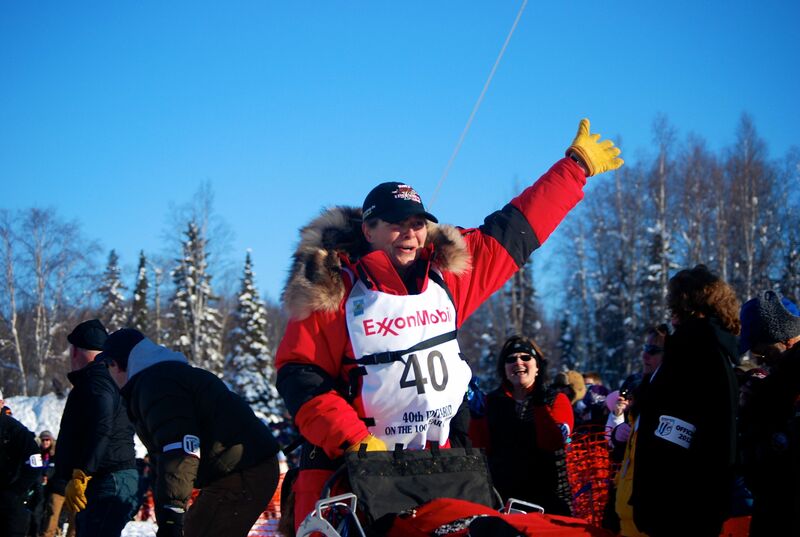 To learn what it’s like to be at the OFFICIAL START, check out this article I wrote about Jan’s first Iditarod. And to stay on top of her progress, be sure to check the standings daily. She’s bib #40 (coincidentally, the same bib number from two years ago! ).